Do you have a property to sell now? Need to liquidate your commercial assets? Frustrated by the slow process? Property Auction can help you place your house or commercial property up for auction and expose your listing to thousands of our site visitors daily! No matter where you are in the U.S., we can help sell your home quickly with no headaches. Our experts can help you determine the value of your real estate at auction. Selling at auction means a fast turnaround - no endless showings and bickering. Selling a property through a real estate auction helps determine the true value of your property and brings serious buyers to your listing. We deal with banks, financial institutions, real estate brokers, land developers and other realty professionals as well as private homebuyers looking to dispose of their real estate assets quickly. At Property Auction, we've assisted in thousands of real estate auctions - we know what works, and we can help you. If you are interested in auctioning your property start by filling out the begining of real estate auction sellers form below. Good News! In a real estate auction commissions are typically paid by the BUYER, not the seller. The commission is paid in the form of a buyer's premium, which is a gross up on the bid price. Typically it is 10% - however it varies greatly. In the above situation, the seller would get $100,000 and the auctioneer would get $10,000. In order to successfully market an auction, auctioneers spend a considerable amount of time, efforts and money to promote an auction. The money they are spending is usually the seller's money. Meaning, the seller typically pays all or most of the out-of-pocket marketing expenses associated with your auction sale. What is involved with marketing for an auction? So why am I paying for it? Remember, there is no commission and the Buyer also pays all the closing costs, so having to pay a small marketing fee pales in comparison to a standard commission typically associated with a traditionally negotiated transaction. How much is the Marketing Fee? The rule of thumb that we hear out there is that the marketing fee ranges between 1-3% of the perceived market value of the property. Often times, if you include your property in a multi-property auction event with several sellers, the economies of scale kick in and your out-of-pocket fees can be reduced greatly. What's a perceived market value? It's typically based on a traditional real estate broker's opinion of value or even the last list price. For example, let's say the property is listed for $750,000 - the marketing fee would be between $7,500 and $22,500. Prior to signing a contract an auctioneer would provide a marketing budget, outlining where the marketing fees would be spent (this is required by law in some states). Usually, the auctioneer uses all the marketing monies to implement the marketing campaign outlined above. Closing costs and any other fees associated with transferring the property from the Seller's name to the Buyer's name are also typically covered by the Buyer, similar to the Buyer's Premium noted above. First of all - what is a reserve price? A reserve price is the lowest price a property will be traded for. For example, if the reserve price is $250,000 and the highest bid is $225,000, the seller does not have to accept the bid. Now to answer the question, "Can I set a reserve price?" As long as your reserve price is reasonable, you can absolutely set a reserve price. This can be either published or unpublished to the public depending on the recommendation of the auctioneer. Keep in mind that auctioneers turn away 90% of the properties they look at based on the seller's unrealistic expectations. Why do auctioneers turn away 90% of the business - that's crazy!? The auctioneers we work with average 80%+ closure ratio, meaning over 80% of the properties that are brought to auction result in the property being SOLD! They know, for example, a condo in south Florida that has been on the market for one year at a price of $250,000 is not going to go for anything near that. Why? 1) There are thousands and thousands condos just like it in South Florida and 2) in order to motivate buyers and auctioneers for that matter, they need to have realistic expectations. So why would I auction my property? The auction method is geared towards time motivated sellers, meaning they NEED, WANT , MUST sell in the short period of time for the highest possible price. That is the biggest benefit of the auction method. Which begs the question, what is the time period? What is the time period? Typically an auctioneer will market your property for 30-45 days. The auction contract between Buyer and Seller usually commands a 30 day closing with time being of the essence. To add it together, 30-45 days marketing + 30 days closing = 60 - 75 days. Now that's quick, and that is ONE OF THE BIGGEST BENEFITS OF SELLING REAL ESTATE AT AUCTION! Your responsibility as a seller? What is the responsibility of the buyer? The buyer is agreeing to buy the property as it is, which could be as simple as a broken garage door to a major environmental issue. 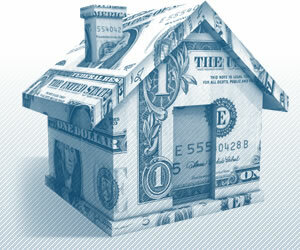 For example the buyer cannot have a mortgage contingency, he must have all the funds ready to close within 30 days. Most auction contracts must close within 30 days of the auction date. Buyers who cannot close would be in jeopardy of losing any deposits + be subject to additional damages depending on the contract. What do I do now? Auction or not Auction? Do you have the funds for marketing? Fill out our seller form and one of our specialists will help you determine the value of your property at auction, let you know approximately how much to expect, how much it would cost and most importantly, help you answer the question: IS MY PROPERTY A GOOD AUCTION CANDIDATE? PropertyAuction.com has facilitated hundreds of auctions from sellers inquiring about the auction process. Also remember, just as we wrote above, the auction process is not for everyone. For the few who are ready to sell, it's a great alternative and not your last resort!